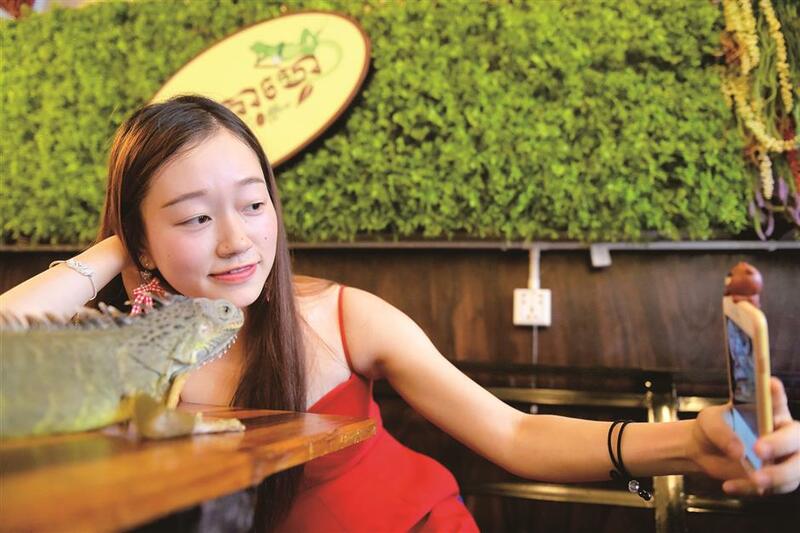 For anyone terrified of an orange corn snake or a scaly, bearded iguana, Chea Raty says getting up close and personal at Phnom Penh's first reptile-themed cafe is the only remedy. A customer taking a selfie with an iguana at the Reptile Cafe. As customers sip on their lattes and hang out with the reptiles, “they will love them like I do,” the 32-year-old said while stroking the scaly neck wattle of an iguana. Some visitors look hesitantly at the cages, others are bolder in their embrace of the creatures. There’s no entry fee, so visitors can order a coffee and request a sit-down with a serpentine friend from one of the tanks. 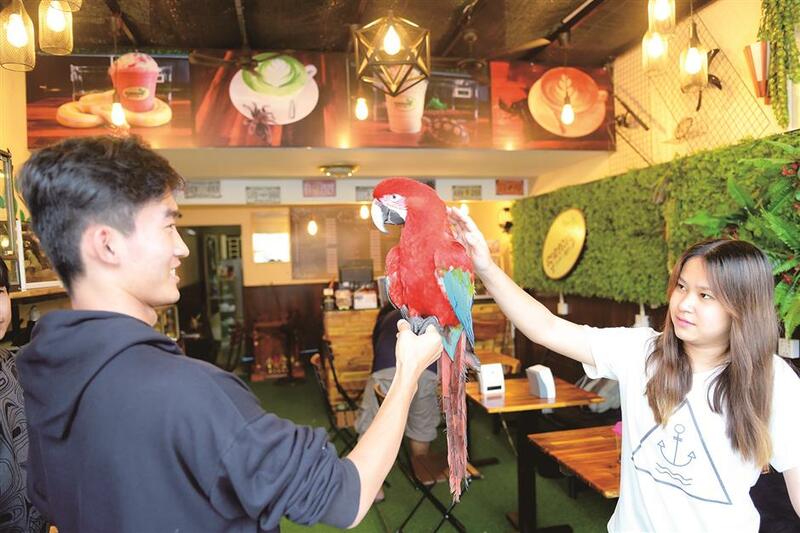 A couple handles a green wing macaw at the Reptile Cafe in Phnom Penh.